Dr. 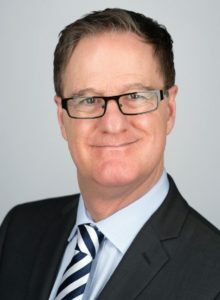 Rob Davidson’s main areas of expertise are conferences and business travel, and over the last fifteen years he has written widely on these themes. In addition to writing books, he regularly writes articles for the professional business travel and tourism press, including Conference News. Born in Split, Croatia, on March 5, 1964. Finished elementary and high school in Zagreb. Graduated from Zagreb University Medical School in 1989 and in 1990. passed state exam and became licensed medical doctor. From September 1991 to late February 1992 volunteered as a frontline physician in Homeland war. From November 1992, works in Children’s Hospital Zagreb, first as a resident and as of 1997 as a fully trained pediatric surgeon. As a Secretary, than General Secretary and since 2015. as a President of Croatian Society of Pediatric Surgery, actively organized 8 national congresses and the First World Congress of Pediatric Surgery in Zagreb in 2004. Member of the Executive Committee of WOFAPS (World Federation of Associations of Pediatric Surgeons). Doctor of the Croatian national football team, with silver medal from a FIFA World Cup in Russia 2018. Vice-president of the UEFA Medical Committee. Mirjana Matešić is a director of the Croatian Business Council for Sustainable Development since 2004. She is active in the implementation of sustainable development policies in business as well as on the level of public policies and strategies. She has initiated quarterly newsletter Business and Sustainability, she is teaches CSR at Business School of Zagreb. She is also co-author of the methodology of the CSR Index in Croatia. She has published a number of papers in the area of sustainable development and has participated in number of local and international conferences. She was member of the Economic council of the President of the Republic of Croatia, president of the Technical committee for social responsibility at the Croatian Standards Institute and a member of the State Council for Sustainable Development and Environmental Protection. She has PhD in sustainable development, Master in business and she is an engineer of ecology, all degrees obtained at the University of Zagreb, Croatia. 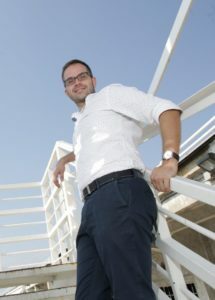 Joe Basic is Founder and Managing Director of MPG, leading Marketing and Promotions Agency in Southeast Europe. 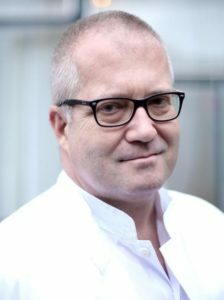 With over 25 years of experience in North America and Europe he has worked with leading global and regional companies creating and implementing many unique and effective marketing and promotion strategies. The MPG 3 POINT APPROACH has become signature trait and has proven to be a key factor in the success of MPG. Using these proven techniques in RETAIL, DIGITAL and LIVE channels MPG creates INSPIRED MOMENTS converting millions of customers into consumers annually. Today MPG has offices in Croatia, Slovenia, Serbia and Macedonia with over 400 Full Time employees. Since 1997 MPG has organised over 10 000 events and promotions, some of the largest include Umagination, Adria Music Conference, Ultra Europe Music Festival, MTV Summerblast and many other concerts and events including Justin Bieber, Estelle, Simple Minds, U2, Sting and Will Smith. Snjezana Dotlic is a consultant pathologist at University Hospital Centre Zagreb and Director of Laboratory for Immunohistochemistry, Molecular pathology and Cytogenetics at Department of Pathology and Cytology, University Hospital Centre Zagreb. She teaches medical students and residents as a Senior assistant at Department of Pathology, University of Zagreb Medical School. Dr Dotlic is a member of multidisciplinary teams for diagnostic and treatment of patients with melanomas, sarcomas and haematologic malignancies at UHC Zagreb. 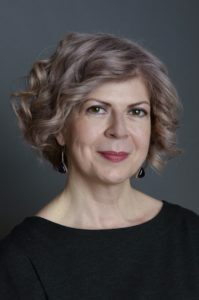 She is a member of the Executive Committee of European Association for Haematopathology (EAHP) and the Chair of the Local Organising Committee for the 20th Meeting of European Association for Haematopathology in Dubrovnik (September 2020). 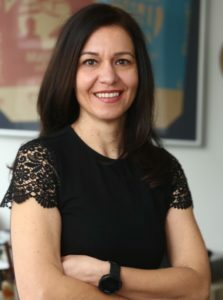 She is also an active member of Croatian cooperative group for haematologic disorders (Krohem), Croatian representative at Pathology Panel of European Mantle Cell Lymphoma Network, and a member of Croatian Haematopathology Working Group. Successfully combining academic and business careers for over 11 years, Igor Kovacević has been part of the Serbia journey from “no destination” to the MICE leader in the region and TOP 50 in the world. 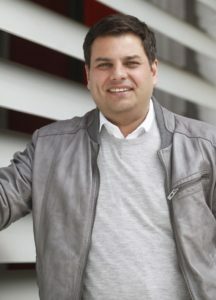 In the last 10 years, he has been mainly focusing on working closely with international associations which resulted in establishing proactive sales platform targeting international clients. In the last 3 years Igor led the bidding process for over 71 bids in addition to 47 confirmed events. He has been implementing very successful Congress Ambassador program, creating long lasting relations with local distinguished members of the program. Igor is also Asssistant Professor at the leading Faculty in the region. Starting December 2017, Igor is a Deputy Chair at ICCA Central European Chapter.